Who doesn’t know someone who is into football or NASCAR? 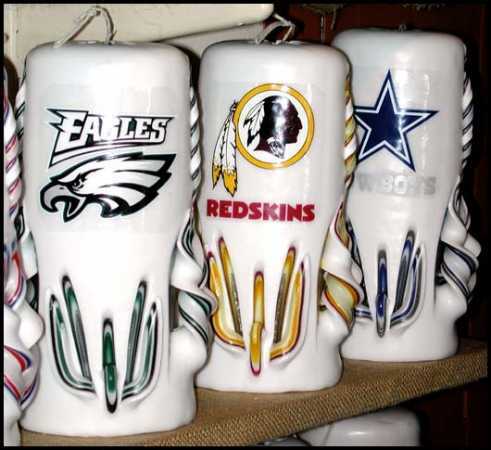 The Original Candle Man creates custom carved candles with sports team logos. One of these would make a unique holiday gift for the sports nut that has everything else! You can get any candle with your favorite NFL, NBA or NASCAR team. I didn’t see hockey mentioned, but then I’m Canadian. Isn’t it great that Sid the Kid is back playing with the Penguins? Getting back to the sports candles, you can find them by visiting The Original Candle Man.